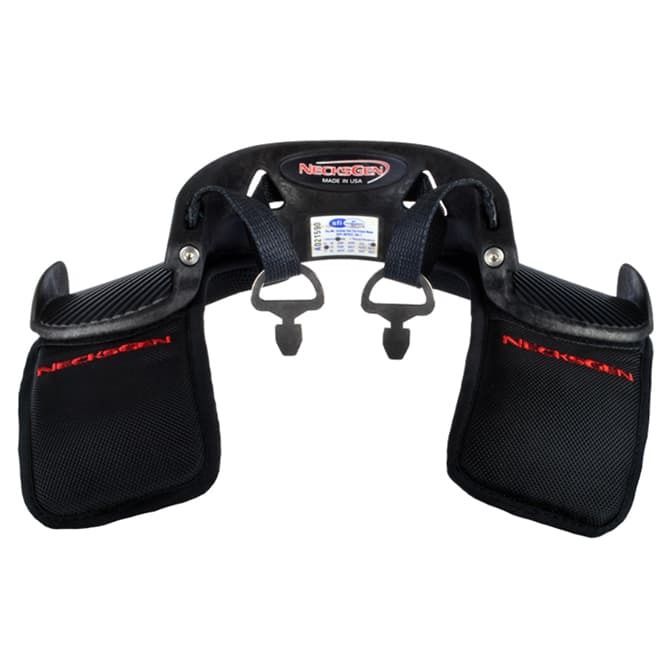 Head and Neck Support, REV2 Lite, SFI-38.1, Carbon Fiber, Medium Size The REV 2 LITE is the ultimate head and neck restraint. Weighing in at only 1.2 lbs. / 550 grams, the REV2 LITE carries the same level of protection and certifications as the NecksGen Original and REV devices. 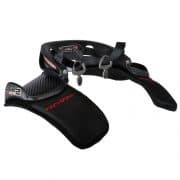 The REV2 LITE has all the same features as the REV, but adds a clever new adjustable tether system, rubber grip friction pads to help you feel locked in your seat better, higher belt guides to keep everything locked in place and for multiple impact situations. 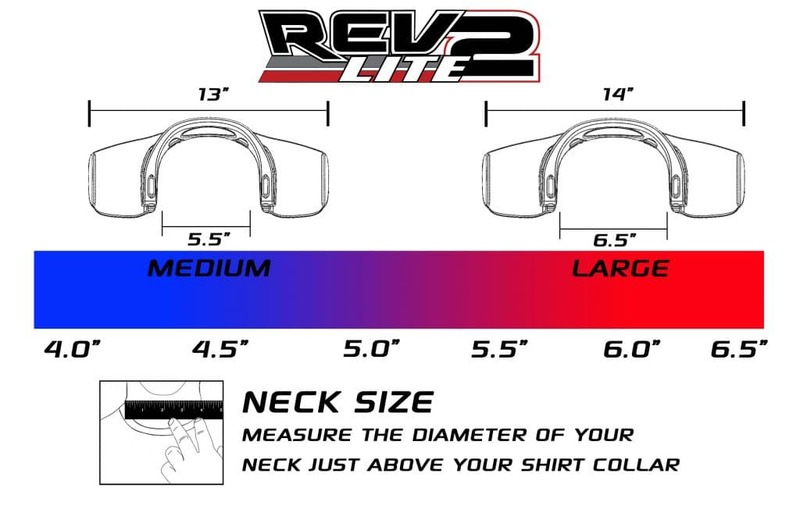 The shoulder pads are improved, and as an exclusive new feature, the REV2 LITE comes with free re-certifications. Medium size REV 2 Lite. Our most popular size. 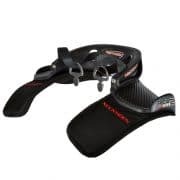 Fits necks up to 6″ wide.